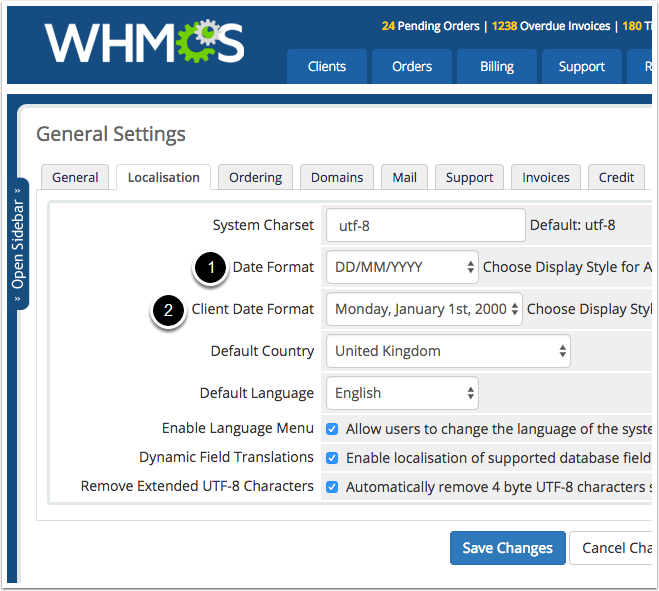 WHMCS can display date formats in several different ways. Staff can even see dates in a different format to clients if desired. 1. In the Date Format dropdown, choose how dates should appear to staff throughout the administration area. 2. In the Client Date Format dropdown, choose how dates should appear to visitors throughout the order form and client area. Choose any of the other options will show dates in a different format to clients than staff.